It is our goal to provide the very best in Christian film and documentaries. It is our prayer that as you view these films, you will be drawn to a closer walk and commitment with our Lord (Sovereign King) and Saviour Jesus Christ. The messages presented are both inspiring, and worthy of Bible study and prayer ! We also offer a full line of Christian films from Little Light Studios, and encourage you to contact them for ordering, as we are still setting up the shop here. Please let us know if there is a particular presentation which you do not see yet available and we will do all we can to help. May the LORD Bless and keep you in His mighty hands, until that great day of His return in the glory and clouds of heaven ! I want to ask if Capoeira also fell under the same category as Kungfu and other martial arts? i’ve listened to a video at some church seminar where you talked about your martial art history and how you came out of it! You mentioned making a film on martial art. Did you made that film and what is it called? I have family and friends who do Yoga, and Ninjitsu and Karate. I need to give them some info on this dangerous spiritual way they are going! 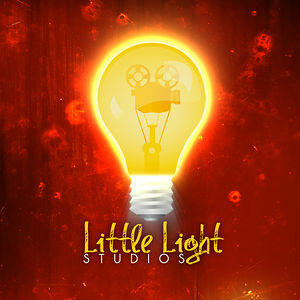 Little Light Studios has disc.1 available online at no charge, and we pray that even if part.1 is all that seen . . . hearts will be won to faith and trust in the Lord Jesus Christ ! Please feel free to contact us by email if you have any questions after viewing the film. And may the LORD God both bless and keep you, strong in faith and the unfailing power of His Life-giving Word ! Kindly ask that you and your ministry and your family pray for me I am in a tough spot and I really want to seek the Lord. I need him. I’m scared I feel alone don’t have many people to talk to you. I am very grateful for the phone conversation we had last week. Our Saviour asks you and I to always remember His Own experience while He was here bearing our flesh and blood . . . The enemy “came in like a flood,” whispering his doubts and discouraging words, and temptations. When Jesus (Yehushua) was wrestling in the garden of Gethsemane it was the struggle against sin, the struggle against the temptation to doubt what His Father had promised to He and to us. God has not abandoned you John . . . Rebuke the devils, Begin this morning to sing praises to the LORD. Read aloud over and over again His promises in Psalms and Isaiah and Jeremiah (especially Jeremiah 29:11-14 and 30:5-7 and 31:3-4 & 31:10-11 and 33:3-11). And read aloud our LORD’s (Jehovah’s, Yehuwah’s) promise to you Today, in Isaiah 40:26-31 and 41:10 and Isaiah 43:1-15 ! Our LORD is faithful, and the “trial of our faith is more precious to Him than that of gold.” Christ Jesus knows by experience what this battle is like, and as He sees you and I, and all of us struggling against the forces of darkness and hell, He knows that the ONLY way to win, Yea, the ONLY victory is through faith in Him (the Word of God)! So to the Word we must go . . . for only there shall we find the armour to stand ! May our LORD bless and keep you Today, according to the unfailing power of His Life-giving Word !